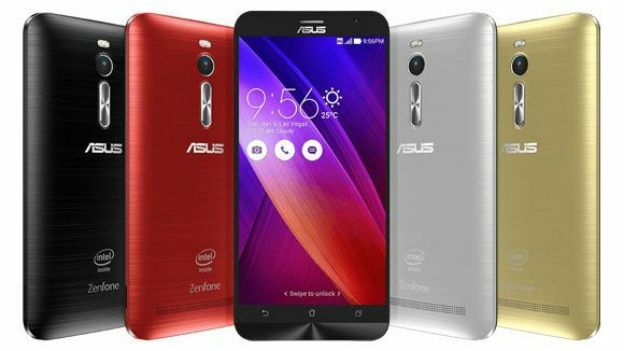 The latest rumour making the rounds claims Asus plans to release a 5-inch version of its ZenFone 2 phablet. Asus took to the international stage at CES 2015 to unveil its ZenFone 2 and ZenFone Zoom handsets. Both phones come in phablet-sized form with 5.5-inch screens, which some people may find a bit chunky for their liking. Well, if that's you then you may be in luck. According to Taiwanese website Sogi, Asus is going to also launch a smaller 5-inch ZenFone 2 shortly after the phablet version hits stores sometime in March. The compact model will likely appeal to people looking for similarly decent specs but inside a niftier chassis. The site's sources say the 5-inch device will be visually similar to the original ZenFone 2, and also retain most of the same features. This includes Android 5.0 Lollipop with Zen UI, LTE connectivity, 13 MP rear camera, 5 MP front-facing camera, and a quad-core 64-bit Intel Atom Z3580 processor. However the tipsters say the 5-inch ZenFone 2 may not pack the same 4GB of RAM as the phablet version. While the rumour should be taken lightly, Asus released ZenFones last year with 4-inch, 5-inch and 6-inch screens so repeating the same strategy makes sense. The ZenFone 2 is widely tipped to have a $199 price tag, so we can expect the 5-inch version to be a little cheaper. Asus is yet to confirm the news, but we'll keep you posted on any updates.